Charlotte Rampling at the 74th Venice Film Festival on September 9, 2017 . With every new name that’s added to the cast of Denis Villeneuve’s Dune, we get even more excited about seeing the finished product. 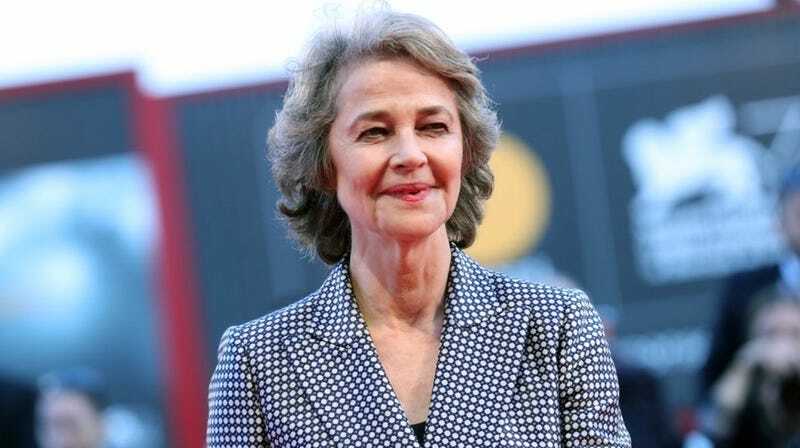 The latest to join is Charlotte Rampling, recently nominated for an Oscar for 45 Years, but possibly most familiar to io9 readers for her role opposite Sean Connery in 1974 cult classic Zardoz. The trade notes that the project—with a cast that also includes the previously-announced Timothée Chalamet, Rebecca Ferguson, Stellan Skarsgård, and Dave Bautista (the latter reuniting with Villeneuve after playing a small but memorable role in the director’s Blade Runner 2049)—will begin filming this spring, with Budapest and Jordan standing in for the desert planet Arrakis from Frank Herbert’s classic novel.